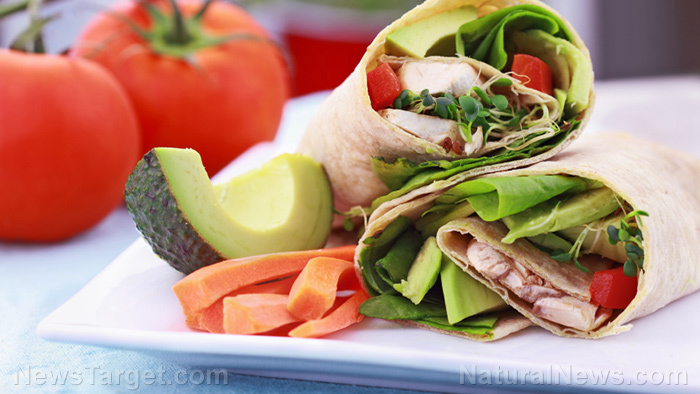 (Natural News) Fad diets aside, the ketogenic (keto), Mediterranean, and vegan diets are often considered the best ones for improving heart health. The vegan diet focuses primarily on vegetables and eliminates all meat and animal products. Earlier research has determined that the risk decreases the most when a person eliminates processed red meat from their diet. Unlike a diet high in meat, a vegan diet will also reduce high blood pressure. Data also suggest that a plant-based diet also helps reduce levels of C-reactive protein, one of the markers of inflammation in the body. Despite these benefits, the vegan diet isn’t perfect. Following this diet can result in a vitamin B12 deficiency because the vitamin is found in animal products. Vitamin B12 deficiency is also linked to anemia or reduced red blood cell counts. Anemia can also be caused by iron deficiency. The Mediterranean diet allows the consumption of animal protein, but fish is preferred over red meat. The diet also involves the heavy use of extra-virgin olive oil, one of the main components of this diet. Data also suggest that this diet reduces levels of “bad” cholesterol and that it is connected to a lower risk of death due to heart disease. The keto diet is low in carbohydrates, high in fat, and allows a moderate amount of protein. Dr. Sarah Hallberg, the medical director at Virta Health, advised that the keto diet is a whole food diet and not a processed-food diet. Researchers agree that regardless of which diet you choose to follow, whole foods are much better than processed foods. Dr. David Katz, a preventive medicine specialist at Yale University’s Yale-Griffin Prevention Research Center, warned that other diets are significantly better than the standard American diet, which is full of fried foods, red meat, and sugary foods. If you want to boost your heart health, reconsider your current diet and consume more whole foods.